A business consultant & leadership coach with 24 years of experience, Tom Guzzardo is all about creating synergy and integration of your business and life. He understands all the pieces of your business puzzle and helps you align the stray pieces that limit your success. Tom has helped hundreds of CEOs, business leaders, entrepreneurs, and sales professionals to breakthrough to the next level of results and excellence. Tom is the creator of one of the most unique and fully-integrated executive leadership coaching programs that generate breakthrough results. Tom delivers dynamic and educational speeches and workshops, group coaching, and personalized one-on-one coaching programs. His clients have included AT&T, Delta Air Lines, Bank of America, Mass Mutual, Guardian, American Express, New York Life, and MetLife, and Prudential. Recognized by CNN News and Fortune Magazine for innovating leadership and sales coaching. Featured alongside the world’s top trainers and motivators like Stephen Covey, Mark Victor Hansen, Les Brown, Brian Tracy, Bruce Jenner and Wally “Famous” Amos in an edition of the “Mission Possible!” series of great American success stories. Regardless of the size of your firm, Tom Guzzardo gets results. He preaches the unique and practical strategies for quantum business growth through integration of a high performance leadership team. Henry Whitlow has twenty five years of Operations and Financial Management experience, thirteen of which was with IBM where he held a variety of Supply Chain Management and Financial Management positions, including two controllerships and NE regional IT planning manager. While at IBM he was trained and certified as a Baldrige Examiner as part of the corporate quality staff. He continues his Baldrige work as a senior member of Georgia’s Quality Award Board of Examiners. For the last twelve years he has played a double role as managing partner and co-founder of the Hudson Strategic Group (HsG) and visiting professor at the Clark Atlanta University School of Business (CAU).His role at HsG, beyond people and project management, he serves “Chief Methodologist”. 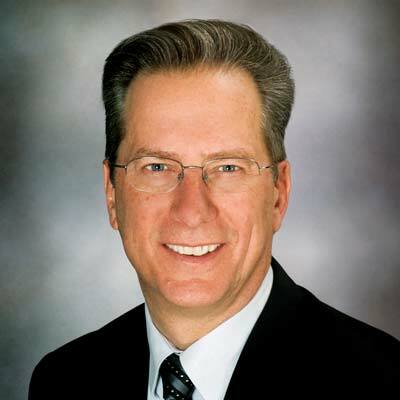 He has developed and published methodologies for implementing the Balanced Score Card, Six Sigma, ISO, Business Process Redesign, Business2Business Mentoring, Baldrige for Small Business, and others. The focus of the business in Building Organizations of Excellence through the profitable integration of the concepts of True Excellence into smaller businesses into their operations. At CAU, in addition to his regular classes in the Decision Science department, he served as the founder and technical lead for the Supply Chain Management (SCM) business concentration in 2003. The SCM program was the first new degree program introduced at the university in the past twelve years. A highlight of the program is the extensive use of Fortune 500 senior leaders in the class room and the classroom use of SAP Enterprise Software to provide additional “real world” flavor. Mr. Whitlow earned his MBA degree from Harvard University. He also earned a BA degreefrom North Carolina Central University in Business Administration (Finance). Dan is an experienced business owner and insurance executive with a demonstrated capacity to achieve exceptional results through innovative problem solving, extraordinary team building, a consistent focus on profitability, and an attitude of urgency. Through his private consulting practices Dan offers operational and financial leadership solutions that capitalizes on his 42 years of entrepreneurial and business leadership experience, his mature communications skills and vital intensity. Jim Ruta is one of the top financial industry's key speakers, embassies, and coaches as he works throughout the United States, Canada, and the world. Retired as an executive manager of one of Canada's largest and most successful profession financial advice agencies. Today, he inspires action, professionalism, and high performance with his entertaining and educational presentation developed through real experience. Based on his own successful business track record, Jim gets to the heart of business challenges to overcome performance road blocks so you achieve more. He transfers average into awesome, regardless of your level today. He'll "Ignite Your How" so that you do what needs to be done to get additional results you want, fast. Jim's passion and practical talks have highlighted major association conferences throughout the world, over 8,000 in Denver, 3,000 in Singapore, and many tens of thousands across North America. His unique brand of advice appears regularly in international print, digital and broadcast media included CTV and B&N. Jim is the best selling author of four books and hosts the popular "Ruta's Rules" video program every week on IA:TV@investmentexecutive.com. He is cofounder and MC of the "Canada Sales Congress", one of the largest one day events of its kind in North America. When you know you can do more and be more, you want Jim Ruta to "Ignite Your How".